The following is a guest blog-post in the form of a written interview by Hassan Bin Sulaiman, a male cupping therapist from Singapore. Before I came to know about Hijama I was a medium or so-called spiritual healer. One day my father had a stroke and I wasn’t able to cure him and 4 months later he died. I was sad and determined to find a method that can prevent stroke. Usually it started with hypertension but my father didn’t have that. He was just a heavy smoker. During my 1st day lesson I met with a stroke patient who recovered from it through the treatment by Hijama. From there I pursued to study it further. We need to introduce this Sunnah to the Muslims many of whom I can see do not know of its existence. At any time for the first timer, usually the blood pressure will go down by ten points. Tips will be given pertaining to prevention of recurrence. We will advise on supplements that have to be taken. Usually 3 sessions are enough to bring down to 124/86 from 174/95. As for gout, we do not know what causes gout. It is the chemical call Purine which can be found in all kind of nuts, animal organs and other vegetables. It cannot be processed and will be thrown into the blood. Since it is crystal-like and is heavy it will normally goes down to the legs and that how it start. We will usually do the cupping on some part of the legs in order to remove the acidic blood. As many of us had known that some sickness started with the thickening of the blood and the blood vessel. There are nine areas that need to be done which construe as “servicing”. One of it is where gathers 70 type of illness. By doing the servicing we have prevented the blood clothing and preventing us from the blockage we can lead to other major illness. Servicing include the clearing of liver, lungs, heart, kidneys. It is advisable to do 3 months once, followed by 6 month and 1 year. When we found that the patient requires cupping done on the head, we will advise. If not it can be done once in his life time or twice if necessary. – As a hijama therapist, how often do you get hijama done yourself, and was what for (if any specific condition) and who do you go to to get it done (since it is not an easy therapy to self-administer)? I had done on my head twice in 6 months. The first time the blood was quite thick but dark red. The second was just liquid light red blood. I have trained my 3 daughters. 4 month once we do the servicing but at times as and when required. 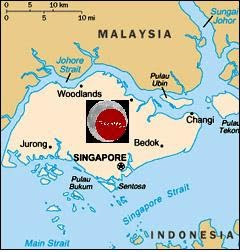 I reside at Block 429, Bukit Panjang Ring Road, #07-715, Bukit Panjang Ring Road, Singapore 670429. Most people tend to have wrong understanding about Hijama. Some have bad experience from those using the razor and others have wrong ideas. To them it is not inspirational but unaware that this is Sunnah and was recommended by Malaikat Jibril ” Yaa Muhammad, ask your Ummah to perform Hijama”. They might not be able to see drastic things happen in their lives but one thing for sure, one time done, it was able to clear the nine areas mentioned. Our thanks to Hassan Bin Sulaiman for sharing the above post. If you have any questions for him, or if you have a patient of his and want to leave him a testimonial, then please leave a comment* below.